This Lillian was even more fun to make than the first one! I was inspired by this Eiffel Tower embroidery design. It originally said "Amour" but I changed it to "Paris." I remembered that Walmart had some Waverly Eiffel Tower fabric, so I went by and they actually had it in 3 colorways. I liked the purple, but Andy insisted on this blue. Neither of us liked the red. At $4/yd, their Waverly fabrics are a great choice. I stitched a block of fabric with the blue dot and Paris fabric after the embroidery, but before I cut out the front. I made the seam hit at an empire waist level. 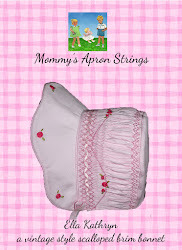 Then I added a pretty ribbon, also by Waverly. Then it was just stitching it together with the lining and adding some plain navy buttons to the back. Children's Corner Lillian, size 3. 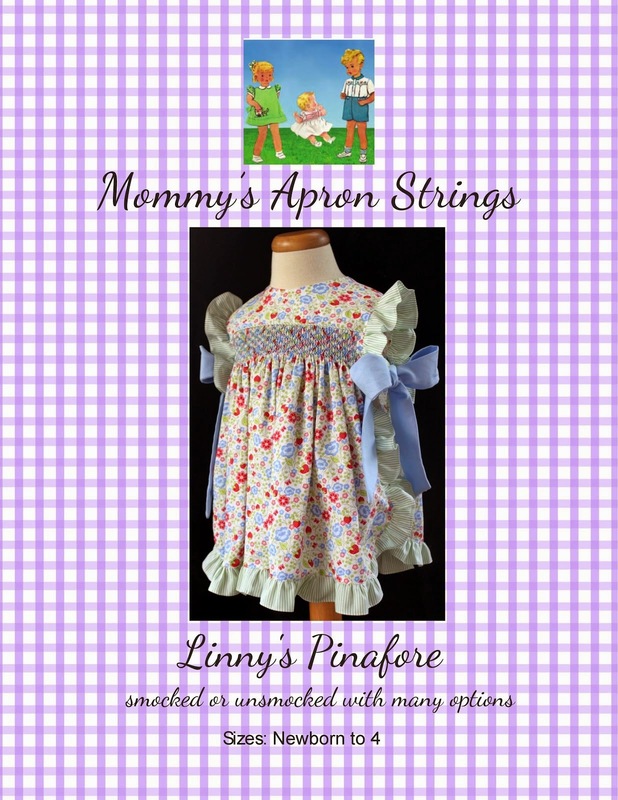 Linny's Pinafore Pattern on SALE!